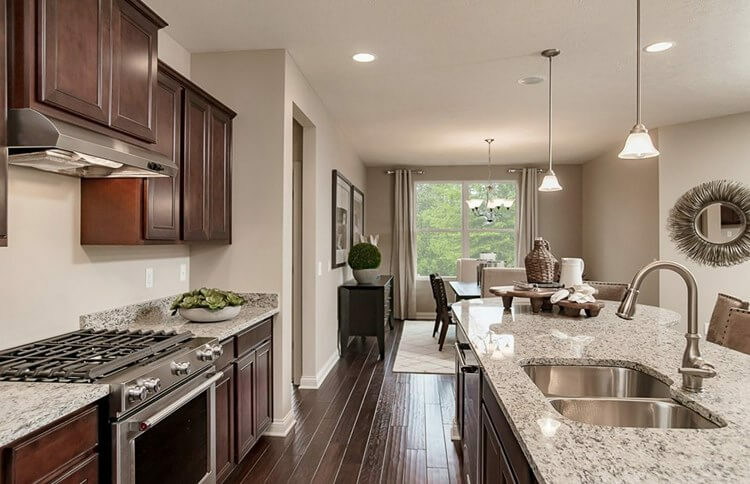 A kitchen island could be the perfect addition to your family's kitchen, as seen in the Ascend floor plan by Pulte Homes in Louisville, KY. The kitchen is called the hub of the home for good reason: it’s where the family congregates for meals big and small, where kids and adults sit and chat while food is prepared, where family and friends enjoy a glass of vino during a night in. How many people live in the home? How much entertaining goes on? How many cooks use the kitchen at the same time? Are there dietary/religious/age/disability issues to consider? How long does the family plan to live in the house and does the kitchen need to grow with it? What is the flow into other rooms and storage requirements that can improve the new layout? Answering these questions will help you understand what you need from a kitchen and will help you decide how to proceed on things like layout, materials and more. “Once I determine and qualify the project, then it is time to see which of the five design types (galley, L-shape, U-shape, one wall or one of the above with an island or peninsula) that work for the family’s needs,” says Gaeta. Now that you have determined what you want from your new kitchen, it’s time to consider if a kitchen island is a practical kitchen element for your family. Kitchen islands can be especially helpful for busy families, says Susan Serra, a certified kitchen designer in Huntington, N.Y. If you have young children, or distracted teens, you’ll find that your kitchen needs to stand up for itself! So, choosing materials that will not require tons of maintenance, like a granite countertop that must be periodically resealed to help prevent stains, is a good idea. Stainless steel refrigerators, for example, look great in a kitchen. But if you have little ones, with hands that touch everything, smudge-proof stainless steel might be a good option. We know your budget will pay a role in this, but choose appliances that will accommodate all the food your family needs and also not break down easily due to lots of use. Choosing materials requiring little maintenance and will not damage easily will ensure your kitchen looks — and works — good for years to come. Your kitchen may feature some elements that you don’t use daily, but will play an integral role in keeping your kitchen functioning, like a pantry or coffee bar. Janet Lorusso, owner and principal designer at JRL Interiors in Boston, says the kitchen is no longer limited to the days of the work triangle. Today’s family-friendly kitchens must accommodate more than one cook at a time and feature “zones” for many activities and ages. A coffee or drink bar, for example, could include a small sink, a wine or beverage fridge, a coffee maker, tea kettle and a drink set separate from the regular cups and glasses. And, pantries are ideal for busy families because you can store food staples or snacks, dishes and appliances that are infrequently used, as well as cleaning supplies or pet food. 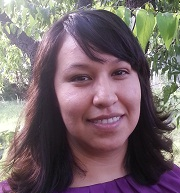 Patricia L. Garcia is an award-winning freelance journalist who has written for NewHomeSource.com, the Associated Press, New Mexico magazine and the Texas Bar Journal. When not writing, she can be found in the garden, battling weeds and high-desert heat.